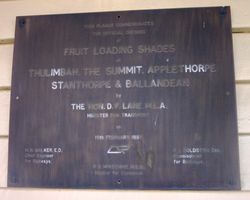 A plaque commemorates the opening of the fruit loading shades. The Hon. 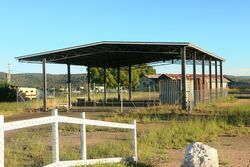 D. F. Lane, M.L.A. P. J. Goldston Esq. 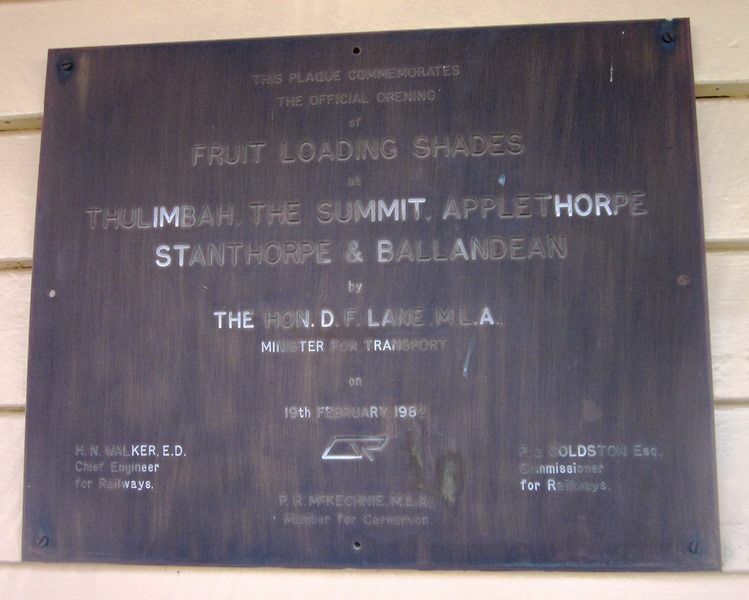 Commissioner for Railways.